GoGirl Fitness Studio is all about personal training. What that means for our clients is that never wonder if you are performing that exercise correctly or how you can modify it if the exercise isn’t working for you. You’ve got an educated and knowledgeable trainer right there at your side from the moment you walk in the door to make sure you’re never feel like you don’t know what to do or how to do it. We are there beside you to help you reach your personal health and fitness goals. Come in and see for yourself! Having once weighed over 400lb. Pandora’s experience with weight loss and fitness is an invaluable asset to every client she works with. Her goal is to find the program that fits you and fits your life. 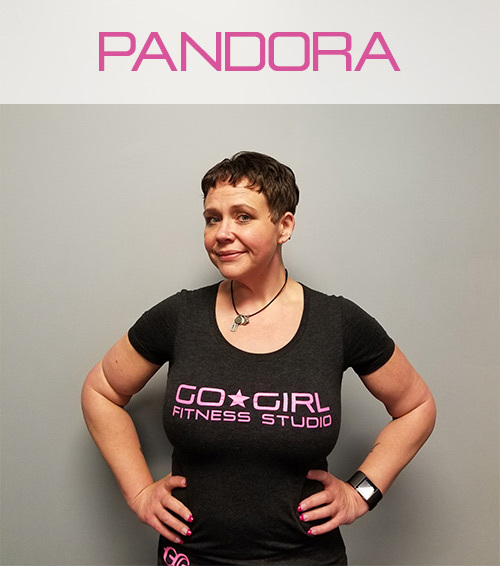 Pandora is the General Manager and Head Trainer at GoGirl Fitness Studio. She received her Personal Trainer Education onsite at the Cooper Institute in Dallas Texas, one of the most prestigious fitness certification schools in the country. As an Cooper Institute Approved Wellness Coach, she specializes in Behavior Modification and Weight Management Strategies to get you results. As an ISSA Certified Personal Trainer, Pandora has helped countless clients get fit and stay fit. Shakeera is a certified POUND instructor. POUND incorporates music and drumming to increase your heart rate work those muscles using a mix of fun, fitness, and music to help you get fit. Shakeera knows what it’s like to be a mother, a wife, and a working professional. She knows how it is to face the daily juggling acts of work/life balance. She also knows the importance of staying healthy so you can enjoy time with you children as well as be a role model for them. 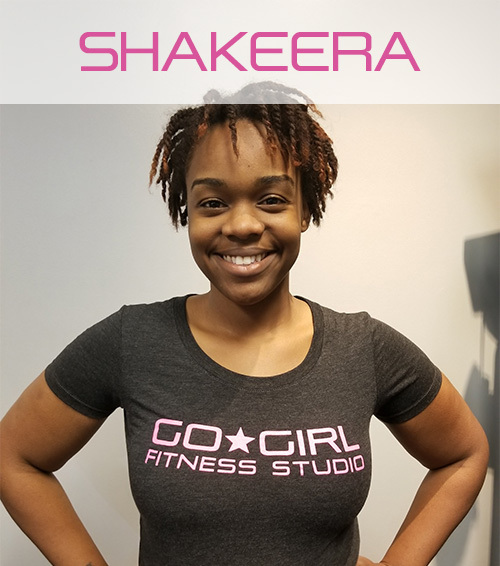 If you are in the mood for POUND, come see Shakeera because she is our guru in this area! 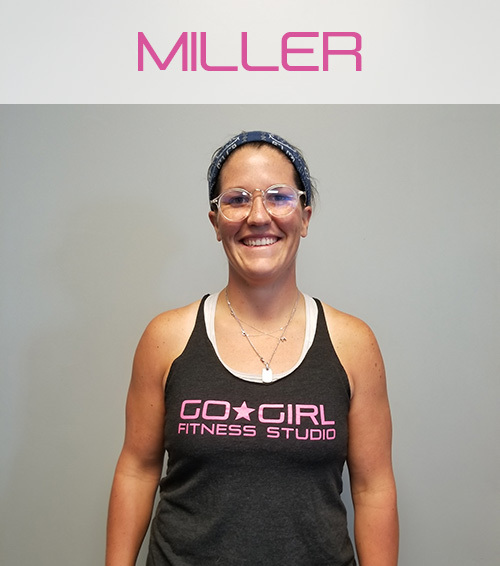 Miller is a true Wilmington native with a passion for health and fitness. Graduating from UNCW as a D1 student-athlete with a degree in Recreation, Sports Leadership, and Tourism Management. From dealing with her own sports injuries throughout her athletic career, she finally decided to put her body first and obtained her Corrective Exercise Specialist certification through the National Academy of Sports Medicine (NASM) and change her lifestyle for the better. Miller enjoys sharing her knowledge for the human body and strives to guide others to make the same lifestyle change she made four years ago. She challenges herself to create and integrate specific exercises for each individual client based on their specific needs, creating workouts in all three planes of human motion. Ready to work with one of our GoGirl fitness specialists? Call the studio today for class schedules or learn more about our one-on-one training.